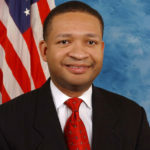 Artur Davis is an American attorney, and former politician. Davis served as a Democratic member of the United States House of Representatives for Alabama’s 7th congressional district from 2003 to 2011. After losing in the primary, he moved to Virginia and joined the Republican Party. He was defeated in his attempt to be elected Mayor of Montgomery, Alabama in the 2015 election. "This week you will nominate the most experienced executive to seek the presidency in 60 years in Mitt Romney. He has no illusions about what makes America great, and he doesn’t confuse the presidency with celebrity, or loftiness with leadership." "With respect to Barack Obama, let’s face it; Barack Obama is an iconic figure in the African-American community. We respect that. We understand that. African-Americans are going to vote for the first black president, especially when he happens to share the liberal politics on economic issues that many in that community hold." "As I prepare for this next phase in my life, I ask that people continue to offer the prayers that have protected me thus far. I also pray that I will always see those who are not seen and easy to forget in the hustle and bustle of Washington politics." "And in terms of their crown jewel legislative achievement: who knew that when asked, ‘will government impose a new federal mandate requiring middle class Americans to buy health insurance whether they can afford it or not?’ The answer would be ‘Yes we can!’"
"We have a country to turn around. This week you will nominate the most experienced executive to seek the presidency in 60 years in Mitt Romney. He has no illusions about what makes America great, and he doesn’t confuse the presidency with celebrity, or loftiness with leadership."